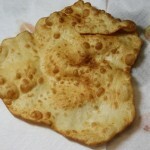 Indian Fry Bread. I hadn’t thought of it in years, but being in Austin brought it all rushing back to me. 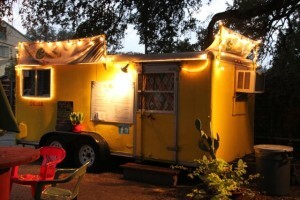 Austin was full of vintage travel trailers turned into food carts, and one that we saw served savory Fry Bread with all kinds of delicious things on them. Of course none were open for business when my sister and I stumbled across them, but they sparked a memory. This is one of the first recipes I ever made when I was a kid, and I made a ton of it. It was a bread – sort of, but it had instant milk powder in it and no yeast. Because it didn’t have yeast, you didn’t have to wait hours for it to rise, just a 10 minute rest and it was ready to go. 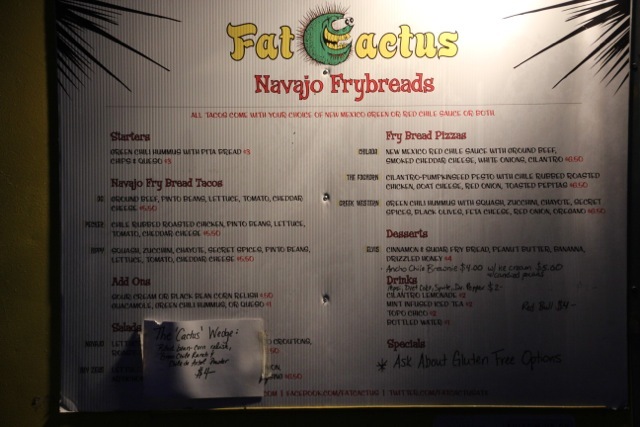 I guess it’s similar to the kind of fried dough you can get at most carnival and agricultural fair midways, but I can’t say for sure since I’ve never tried that kind. 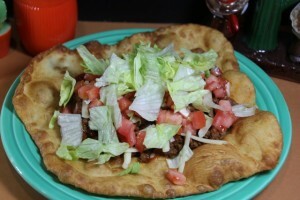 I decided I had to make this for my own kids to try, and thought to use the fry bread as taco shells would be perfect. 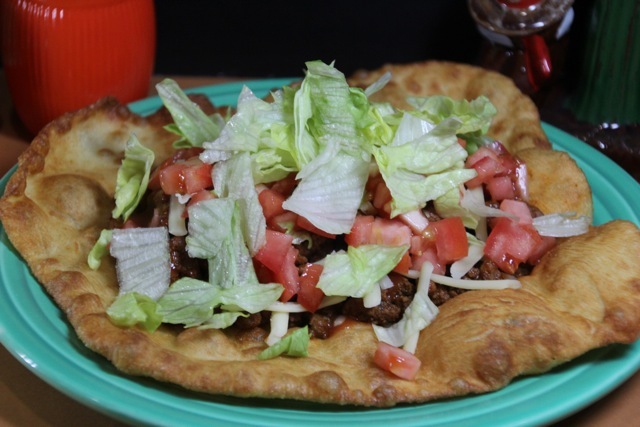 It turns out this is not an uncommon use for them, as the internet had many recipes to choose from in this style.I really just took the recipe for the fry bread and figured I’d be able to manage the taco part on my own. 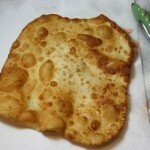 There were tons of recipes for Indian fry bread on the internet, but I really had to search to find one that used powdered milk, which is the way I grew up making it. You can even just eat the bread plain with a sprinkle of seasoned salt, grated parmesan or cinnamon sugar. 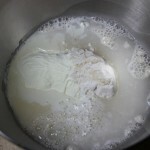 In a medium bowl, stir together the flour, milk powder, baking powder, and salt. Stir in water and mix until the dough comes together. 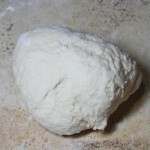 Add more flour if necessary to be able to handle the dough. 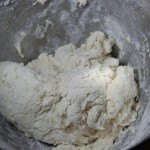 On a floured surface, knead the dough until smooth, at least 5 minutes. 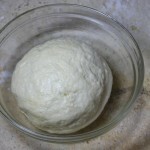 Cover the dough very lightly with olive oil and let the dough rest for 10 minutes. 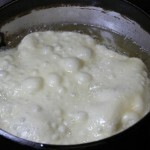 Heat oil in a large, deep heavy skillet. Oil should be about 1 1/2 inches deep. Put a small piece of dough in the cold oil. 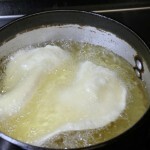 The oil is ready to fry when the dough sizzles and becomes golden brown. I divided my dough into 6 pieces, but these made pretty large taco shells. You could divide the dough into 8 equal pieces. 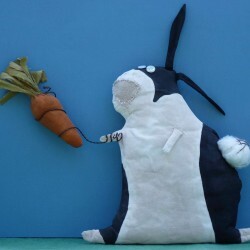 Shape each piece into a round disc. 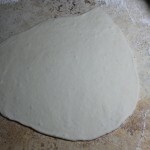 Use a rolling pin, roll the dough to 1/4″-1/8″ inch in thickness. 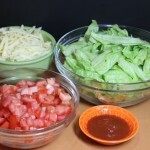 Stack the rolled dough rounds together on a plate and cover with plastic wrap or a kitchen towel until ready to use. 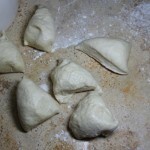 Fry breads in the hot oil until golden on both sides, turning only once. Drain on paper towels.Don’t let the bread get too brown or it will be brittle. 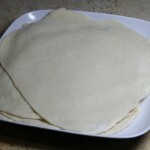 Ideally it will be a bit pliable to use as a taco shell, so keep that in mind when frying the bread. Tacos are a very personal thing. People like their own particular brand of seasoning. Some like it spicy, some like it mild. Some like guacamole or sour cream on theirs. Some like cheese. So really, all I will do is list suggestions here. 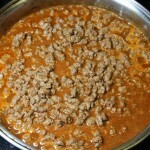 My own family’s personal food quirks dictate what I can and cannot put on our tacos. 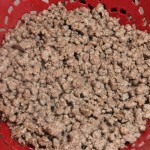 What I can say I did was ask to have my ground beef ground coarsely at the meat counter. I don’t know what inspired me to do this, but it was brilliant for tacos of this style I thought. 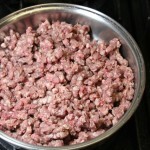 Since I was feeding a family of 5, I got about 1-1/2 pounds of ground meat.